By the end of February, 2015 Westervoort hosted the world premiere of ‘Waterlight‘. 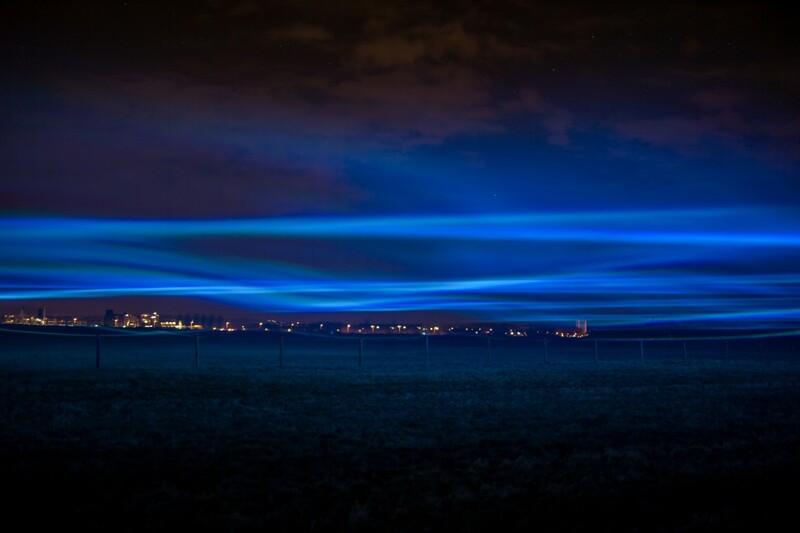 The latest artwork by Daan Roosegaarde is described by first visitors as the “the Northern Light of the Netherlands”. From February 26 to March 1st, visitors could experience Waterlight in the flood channel of the river IJssel near Westervoort. Waterlight reveals the invisible artworks of the Netherlands, and will appear throughout the Netherlands in the coming years. ‘Waterlight’ by Studio Roosegaarde – Open field experience under night sky. Waterlight is the result of a collaboration between Studio Roosegaarde and the Dutch water board Rhine and IJssel. “A combination of awareness and a dreamscape. By adding – aside from the latest LED-technology – experience and perception, we create a virtual flood.” says Daan Roosegaarde. The artwork Waterlight consists of wavy lines of light across an area of over 4 acres. Walking on the dike the light lines are perceived as high water, once in the flood channel you find yourself in an underwater world. The water boards are pleased with Waterlight. 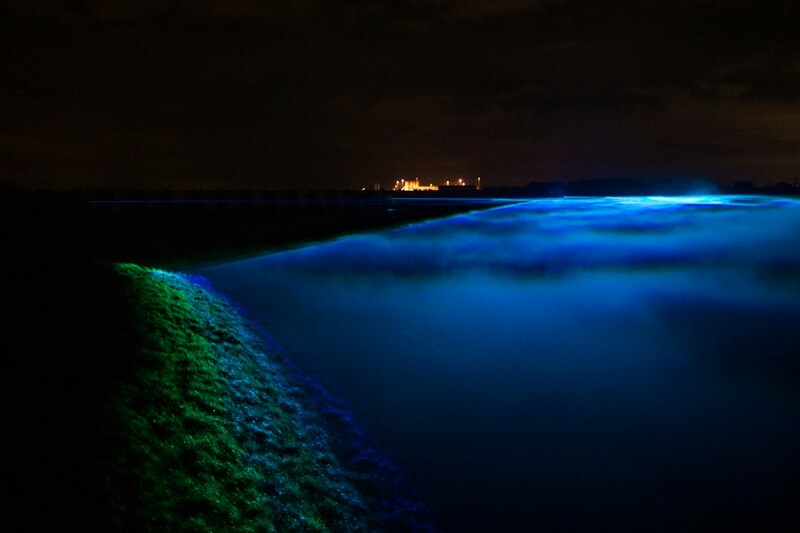 ‘Waterlight’ by Studio Roosegaarde – Fictive flood level hitting the Rhine and IJssel dikes. Dutch water works are unparalleled by any other country, but the water awareness leaves a great deal to be desired!